As I write this, we are four days from April…and equally as far from Easter. You see, for the first time since 1956, Easter falls on April 1—and it won’t happen again for another 11 years. So, with this strange coincidence, it seems ‘foolish’ to not reflect on the inherent connections between Easter and April Fool’s Day. And I don’t think I’m stretching to find these connections. Now, I enjoy joking around and the occasional prank as much as anyone, and pride myself being humorous, but my humor pales in comparison to the massive joke Jesus enacts on Resurrection Day. The religious and governmental elites thought they had their obnoxious and pervasive issue put to rest. They had rid themselves of this prophetic insurrectionist and they could once again enjoy the perks of unchallenged power and authority. By Friday night, all was made right…by might. Jesus is dead, his followers had scattered, and the normal social hierarchy had been restored. While those closest to Jesus spent that Saturday in grief, the religious and political leaders spent that Saturday in relief. But, of course, that wasn’t the end of the story. Sunday comes, the tomb is empty, and the Son of God gets the final laugh. Jesus pulls the most elaborate prank in human and cosmic history through defeating death and raising to new life. The resurrection of Jesus is the most well-crafted and astonishing April Fool’s Joke ever. 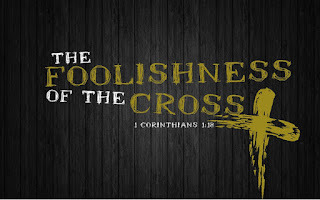 But to take this line of thinking one layer deeper, Jesus’ resurrection also reveals the foolishness of thinking that violence is ever the solution to the world’s problems or that death could ever triumph over life. Jesus adamantly declares the incredible wisdom found in what the world would call utter foolishness: that peace doesn’t come through the sword, but through non-violence; that murderers and terrorists are not overcome through violence and war, but through love and generosity; that evil is not conquered through military might, but through the sacrifice of one’s self. This upside-down paradigm most-certainly seems foolish through a worldly lens, but the Resurrection proclaims the wisdom in this backward way of thinking. Jesus has come bringing a new kingdom of love, grace, generosity, sacrifice, and powerlessness—and the joke’s on anyone who fails to recognize the inherent goodness and truth of this new, radically-different sort of kingdom. All hail our Mischievous Messiah; our Playful Prince; our Spirited Savior. 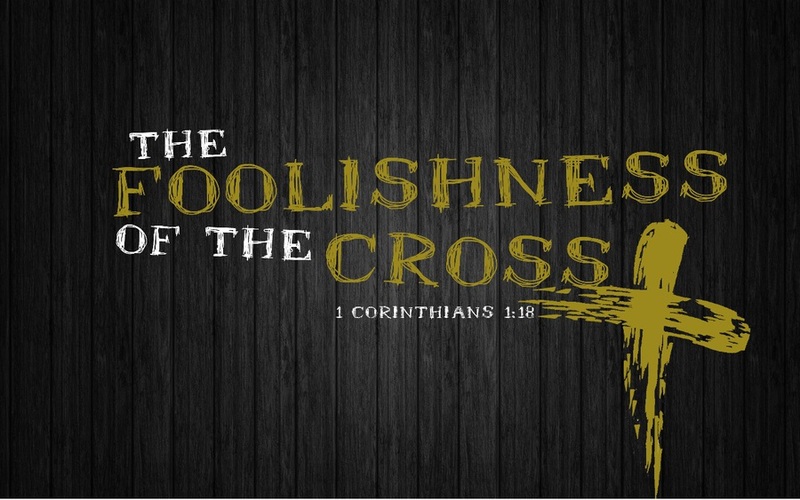 May we truly embrace the upside-down, mess-with-your-head nature of the resurrection—the foolishness of the cross.